Alongside names from Marvel and DC, artists and writers from San Diego have been able to find success at Comic-Con. 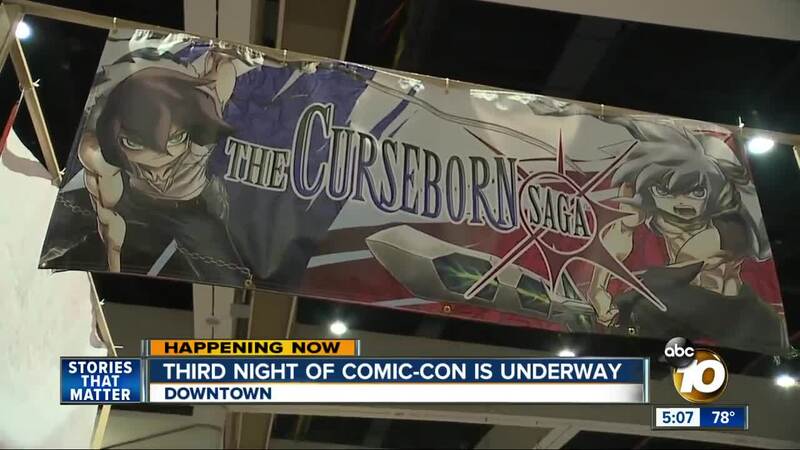 Matt Boone interviews Terry Mayo and the creators of the "Curseborn Saga." 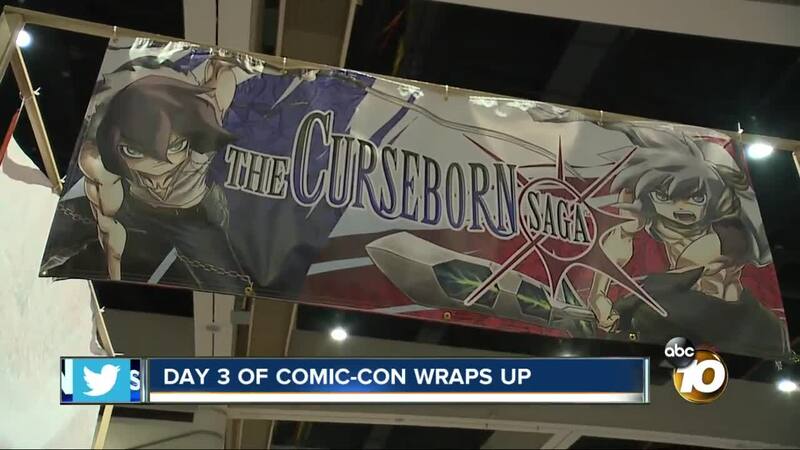 SAN DIEGO (KGTV) - Alongside the celebrities and the major names in comics, local artists and writers from San Diego have carved out their own space at Comic-Con. Writer Terry Mayo shared a booth last year but came back in 2018 with his own. He says he’s only been writing comics for six years. “It kind of snowballed really quick,” he said. His latest comic is set in a post-apocalyptic landscape based on San Diego. Started by two brothers from San Diego, the franchise has started gaining an international following. “We always wanted to go to Japan, but a lot of the following came from Mexico and the Philippines,” said writer Elnath D. Shanks, the pen name for Trevor Barber. They began working on the project in 2010, creating their own world, religion, philosophy and characters. This is their third year with a booth at Comic-Con. “I feel like we’re so lucky. It’s just in our backyard,” said Barber.